gay honeymoons Archives - Joe.My.God. 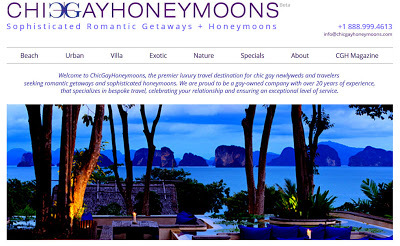 They call themselves “the first bespoke luxury travel company to focus on chic romantic getaways and sophisticated honeymoons for gay couples.” Strictly for the high rollers, obviously. It’ll be Niagara Falls for the hoi polloi.